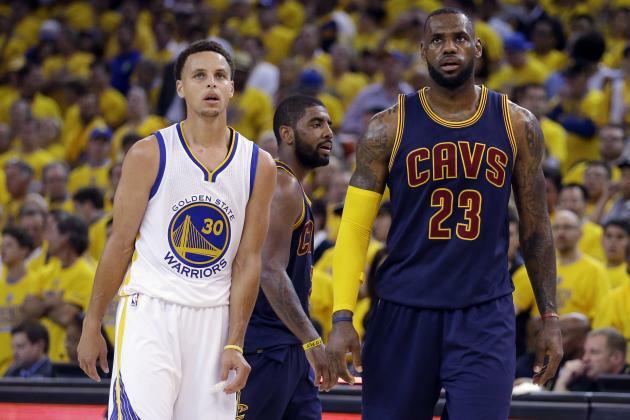 OAKLAND, Calif. (Diya TV) — The 1,316th game of the NBA season will be played on Sunday when the Golden State Warriors and Cleveland Cavaliers meet once more for a decisive Game 7 matchup to decide this year’s champion. It will undoubtedly be the most nail-biting 48 minutes of basketball either team has played all season, and the stakes for each of them couldn’t be higher. For Golden State, a win would cement the team — mathematically, at least — as the best ever in league history, and likely place them among the all-time greatest in NBA history; a Cavaliers win would deliver the city of Cleveland its first championship of any kind in 52 years. However, one of the strongest narratives to run throughout much of the regular season and these playoffs is the distinction of who the best player in the league might be — two-time MVP Stephen Curry, or four-time MVP LeBron James. Both players’ legacies, and perhaps permanent bragging rights, are on the line Sunday. James will seek to clinch his third NBA championship Sunday, the previous two were also clinched on the road. After the Cavaliers fired head coach David Blatt midseason, a win in Game 7 would surely hush the doubters who believed Blatt was the man for the job. Additionally, unlike the previous two titles, where James had the assistance of players such as Dwayne Wade and Chris Bosh, there would be no doubt in who led Cleveland’s championship charge. James has already put a stamp on his reputation as a big-game player — his 41-point performances in Game 5 and Game 6 were enough to help the Cavaliers become the first team in league history to battle back from a 3-1 deficit during the NBA Finals. History is not on James’ side — only on three occasions has the road team emerged victorious in a Game 7 during the Finals and no team has won a Game 7 on the road during the NBA Finals since 1978. Should he lose Sunday, James’ record in the Finals would fall to 2-5 all-time, and it will be impossible not to wonder if his 13-year career is shaping up to be an underachievement. 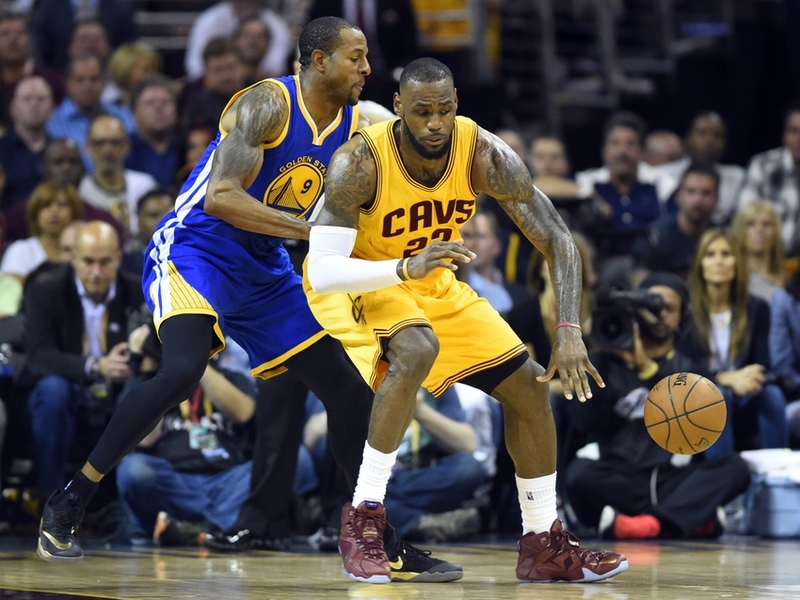 Warriors forward Andre Iguodala guards LeBron James of the Cavaliers. For Golden State, a victory Sunday would certainly ensure that Stephen Curry goes down as the ringleader of one of the two greatest teams in NBA history, with only Michael Jordan’s 1996 Chicago Bulls matching. Curry has already broken nearly every league shooting record, including, on Thursday, the number of three-pointers in an NBA Finals with 28, so his status as the greatest shooter of the modern era is solidified. In order for him to retain the title of “Greatest Clutch Shooter,” he’ll need one of those stellar 40-point performances. A Game 7 loss would leave Curry and the Warriors as one-time champions, until proven otherwise — a huge disappointment after their record-breaking 73 wins. Whatever happens on Sunday, one thing is certain: It’s going to be a history-making night. The Cavaliers come back from a 3-1 deficit to win the championship in Game7, LeBron James uninamous Finals MVP.